Welcome to the Credo LibGuides! Credo’s team has worked hard to build out this guide with content specifically related to Religion. Whether you’re a librarian or an end-user, we know you’ll be amazed at the breadth and organization of citable, accurate information we’ve put together. Visit each tab to find Credo Topic Pages featuring additional content around this particular subject area. And let us know what you think: libguides@credoreference.com! Our LibGuides work best for institutions with a Credo Academic Core or Complete Core subscription. Student Core, Public Core, and Academic Core 100 or 250 subscribers will always have access to the links marked "Topic Page." If you have a Academic Core 100 or 250 subscription, and wish to access links that do not say "Topic Page," or books on the "Books" page, your administrator will need to select the book as "live" in your Credo subscription. 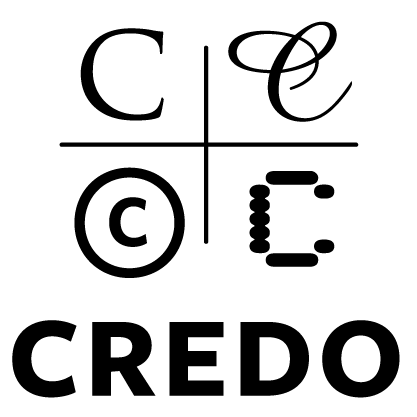 Did you know Credo offers more content? Essentials Collections are subscription collections curated to include the "best of the best" content in specific subject areas. Credo also offers thousands of carefully selected books as Add-on Content available for perpetual purchase. Essentials and Add-on purchased books can be searched and viewed alongside the content you already have from Credo.